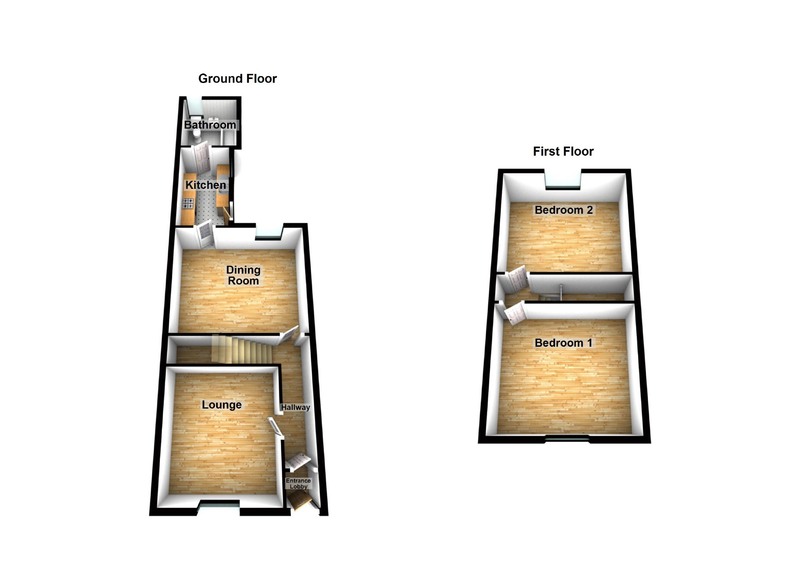 To the ground floor there is an entrance hallway, lounge, dining room, kitchen and bathroom, to the first floor the landing gives access to TWO DOUBLE BEDROOMS, the second bedroom has access to the loft which has Velux style windows and has been boarded providing a useful storage area. To the rear there is a PRIVATE YARD which takes advantage of a SOUTHERLY ASPECT. Council tax band A. FREEHOLD . 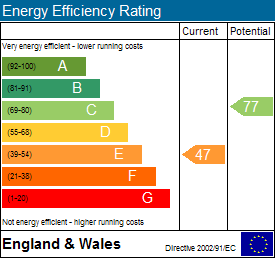 Energy rating E. To arrange a viewing call next2buy on 0191 2953322. Entrance Lobby - Double glazed entrance door, door to hallway. Hallway - Stairs to the first floor landing, radiator. Lounge - 3.93 x 3.52 (12'11" x 11'7") - Double glazed window, feature fireplace, storage cupboard, radiator. Dining Room - 4.59 x 3.86 (15'1" x 12'8") - Double glazed window, laminate flooring, fireplace, radiator. Kitchen - 3.50 x 1.90 (11'6" x 6'3") - Fitted with a range of wall and base units with work surfaces over, single drainer sink unit, double glazed window, double glazed external door. Bathroom - 2.36 x 2.21 (7'9" x 7'3") - Comprising; bath with shower over, low level WC, wash hand basin. Tiling to walls and floor, double glazed windows, radiator. Landing - Access to bedrooms. Bedroom 1 - 4.60 x 3.98 (15'1" x 13'1") - Laminate flooring, double glazed window, radiator. Bedroom 2 - 4.58 x3.94 (15'0" x 12'11") - Double glazed window, radiator, access to loft. The loft has pull down ladders, Velux style windows and is boarded. External - Externally there is a small garden area to the front and a private yard to the rear which has block paving and benefits from a southerly aspect.